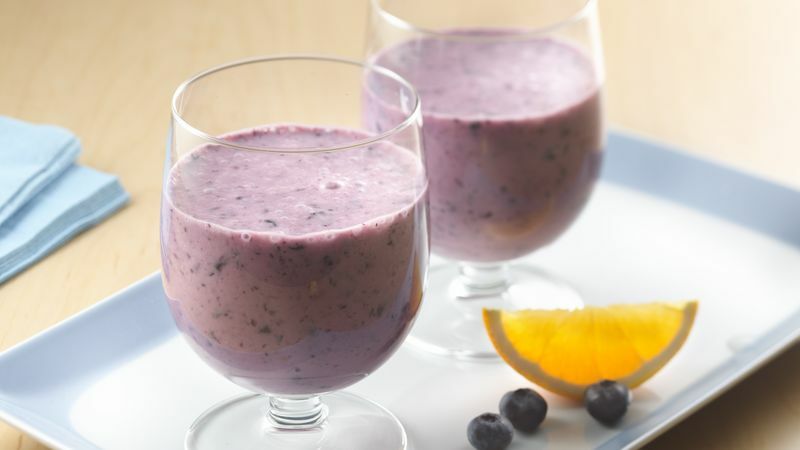 In blender, place blueberries, orange juice, orange peel and yogurt. Cover; blend on high speed about one minute or until smooth. For an additional boost of calcium, use calcium-fortified orange juice. Surprise your family with a smoothie breakfast! Serve smoothies with toasted bagels topped with reduced-fat cream cheese for a yummy change from cereal and juice.